After staying in Airbnb places in Detroit, Budapest and Vienna, it’s been interesting to experience the other, host end of the service. 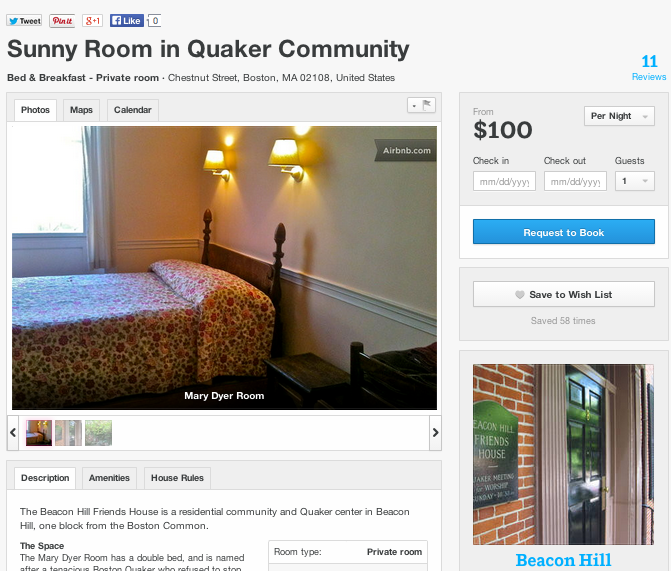 Beacon Hill Friends House has two guest rooms now listed on Airbnb, and the listing is generating lots of visitors. Apart from occasional duty greeting a guest when our residency manager, Ben, is away from the house, encounters happen mostly in the kitchen. Breakfast is included in the cost of the stay. The breakfast table conversations are intriguing on several levels. Among them: the visitors’ stories of life from whence they’ve come, more often than not overseas. But it’s also fascinating to hear their reactions to the house, the neighborhood and — in the case of international visitors — the country. We’ve had recent visitors from Australia, Uruguay, Germany, The Netherlands, France, Switzerland, Spain, Colombia, Pakistan and Austria. The combination of our Airbnb guests and residents’ visitors sometimes strains the capacity of this old house. With 24 people expected for dinner last night, we set up long tables in the Quaker Meeting Room to accommodate the crowd. The conversation at one end of the table between guests from Vienna, Austria and Macon, Georgia provided melodic variations on our usual accents. Among the questions I’ve been asking our international visitors: What’s one thing that most Americans don’t know about your country but should? I’ll follow up in a subsequent post with some of their answers. 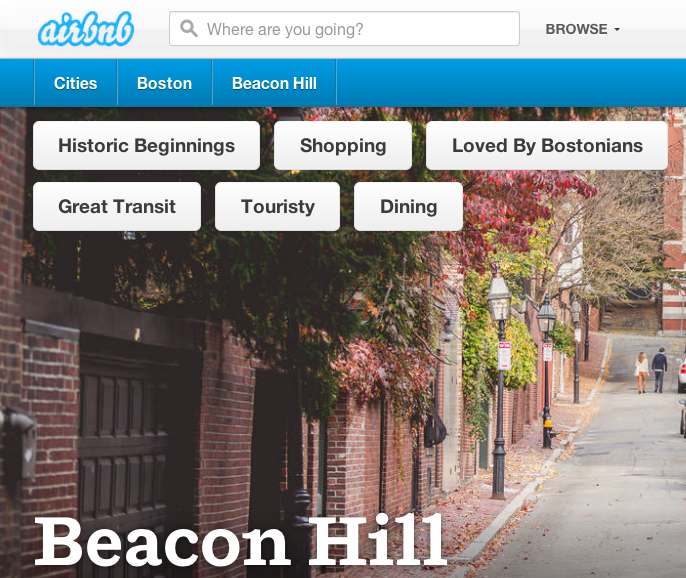 For now, though, here’s more about what these visitors find when they show up at the corner of Walnut and Chestnut, a destination promoted quite effectively by a remarkable collection of photographs of the Beacon Hill neighborhood on Airbnb. 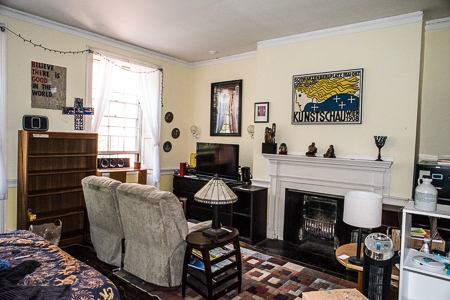 The two rooms at BHFH available via Airbnb are the Mary Dyer room and the George Fox room. Mary Dyer is $100 @ night for one person (extra $10 for each additional person). George Fox costs $85 for George Fox (extra $10 for each additional person). Residents can book rooms for friends at half price, though, and without charge if booked within seven days of arrival. The Airbnb listing has significantly increased bookings, so let us know as much in advance as possible when you’d like to stay with us. This entry was posted in Community, Hospitality, Travel and tagged Posted by Bill Mitchell. Bookmark the permalink.